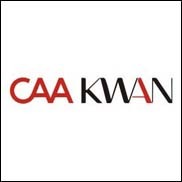 LOS ANGELES (CelebrityAccess MediaWire) — Creative Artists Agency has teamed up with one of the leading talent agencies in India, Kwan Entertainment, to form a joint venture to rep Bollywood talent. According to the Los Angeles Times, the new venture will look for opportunities in film, television, music, commercial endorsements, as well as other businesses. The joint venture's headquarters will be in Mumbai, with satellite offices in Delhi, Bangalore and Hyderabad. The new venture will be helmed by CAA's David Taghioff and Caleb Franklin, along with KWAN CEO/Managing Director Anirban Das Blah and COO Indranil Blah with Franklin moving to Mumbai.